Marjorie Albohm, MS, ATC, is used to being first. 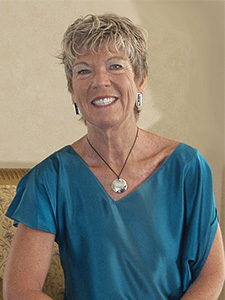 She began her career in the wake of Title IX as the first women’s athletic trainer at Indiana University and one of the first women certified by the National Athletic Trainers’ Association, which she went on to lead. An international expert, speaker, and author on musculoskeletal health, Albohm is director of Össur Academy in California and a contributing faculty member in the online Master of Health Science in Athletic Training program. As an undergraduate, I had an ankle sprain that my coach treated. She suggested we see the men’s athletic trainer. I asked why there wasn’t a female athletic trainer. It was a new field for women. The men’s athletic trainer invited me to join his class about care and prevention of athletic injuries. I fell in love with the topic and decided to pursue athletic training at the graduate level. What was it like as one of the first women working in athletic training? There were no jobs at first, so I began teaching at Concordia College. I love to teach. The next year, I went to Indiana University as a faculty member and head of the women’s athletic training program. Sports for men and women were separate then. Fortunately, my colleagues worked as a team. I had mentors who wanted to teach me everything they knew so I could take care of the female athletes. They showed me the ins and outs of the profession. The orthopaedic surgeon at Indiana asked me to help him start sports medicine clinics. I didn’t know what they were, but when you take on new projects, you grow and learn. I always tell my students to take advantage of those opportunities. You don’t set out to be a leader, but you find groups of professionals who want to advance the practice; it’s infectious. What excites you about the course you designed and teach on leadership? 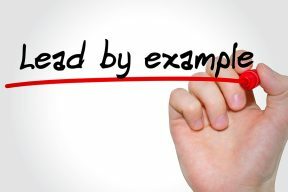 Leadership is critical to any curriculum in health care. Critical! If you’re an athletic trainer at a high school who is responsible for 40 sports and 1,200 athletes, how do you convince administrators, the school board, and parents to improve health care in athletics? By being analytical and showing your value. I want to motivate students to improve the situations they’re in by leading change on behalf of the people they’re serving. 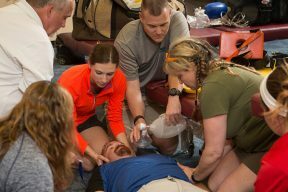 Making the Most of Opportunities to be a Leader in Athletic Training Preventing and Preparing for Catastrophic Injuries as Athletic Trainers What Can Athletic Trainers Do with an EdD?